Taking your car in to the mechanic can be a stressful ordeal, particularly if you need a lot of work done. Not all mechanics are trustworthy and there are a lot of horror stories floating around out there, so it pays to be wary. There is one place you can truly trust: Westbury Toyota is well known for our team of friendly, honest, and trustworthy mechanics. You don’t just have to take our word for it, though: Here are the five signs that you should always be looking for when considering who to work with on your upcoming car repairs. When it comes right down to it, your car is just that: Your car. As such, you should rightfully get a say in what is done to it. A good mechanic will always take the time out to explain to you both the problem and the solution in easy to understand layman’s terms. As the editorial staff of Superior Automotive Technicians points out, an indicator of good customer service is a mechanic’s willingness and ability to explain things to you until you fully understand what they’re proposing. In addition, a trustworthy mechanic won’t hesitate to explain more than once if asked, as it’s important to him or her that you comprehend whatever the issue and related fix is. Being as there are different ASE certifications, a mechanic can be certified in up to eight. Once they are, it means that they are considered a specialist and a Master Technician. While being certified to this degree does not necessarily equate to trustworthiness, it is an indicator that she or he cares enough about their craft to go that extra mile to become as certified as possible. 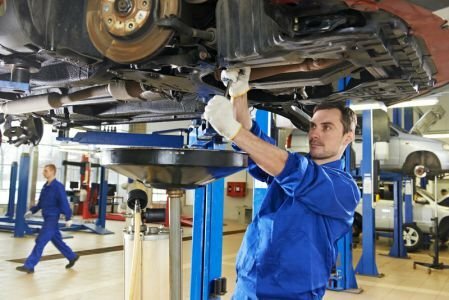 This might seem like a no-brainer, but the fact is that there are many mechanics out there that are less than impressive in the communication department. It’s imperative that a mechanic be easy to contact and what’s more, willing to communicate with you. A good indication of whether you should bother with a mechanic is initial availability – if you’ve reached out and left messages but they are slow or seemingly unwilling to get back to you, you should probably pass in favor of another. A good mechanic will be eager to get your business and more than willing to communicate with you throughout the entire process. Businesses don’t stick around for a long time if they offer less than desirable service and solutions. For that reason, a mechanic shop that’s been around for a long time is indicative of quality treatment and methods. When you’re looking for a place to do some mechanic work on your car, it’s a good idea to seek out one that’s been around for more than just a couple years. Any business that is invested in building a strong, dependable rapport with the surrounding community is most likely a trustworthy one, explains Sarita Harbour of Extra Mile. Businesses that make an effort to participate or support local events provide an insight into the values of the owner or owners and what’s more, show a commitment to being around for the long haul. This is something many businesses that aren’t up to par won’t bother doing. For the team here at Westbury Toyota, this means going above and beyond with the Strong Island Street Wheelz Custom Car Show and other important causes within the Long Island community. If you’ve read over this checklist and decided that this is the kind of place you’d like to take your car the next time it needs some repairs, look no further. Westbury Toyota checks off every box on this list, and our mechanics come highly rated and dedicated to getting the job done right and on time. Whenever your car is next in need of some mechanical attention, come and pay us a visit. Our trusted team will be ready and waiting for you!